This book will show you 8 Tools to help you raise great kids by building a strong or stronger relationship with them and bring you closer as a Family, that love's each other and share God's Love. We all want that and try but fail at times, especially when it counts. This book is broken down into 8 sections with 5 Chapters each that are short enough for you to read a few pages at night. 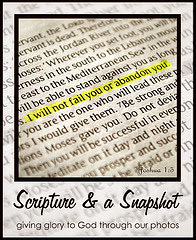 At the end of each Chapter there is a practical tip to help remember the main point of that Chapter. We can change the course of our children’s lives just by the Power of our words! The 8 Tools are: Talking, Listening, Influencing, Connecting, Teaching, Encouraging, Correcting and Leading. Chapter 17 brings up key words I remember hearing from my own childhood: quality versus quantity time. The importance of both is discussed. It reminded me of when my husband built our treehouse with our children. Dr. Todd earned a doctorate in clinical psychology from Fuller Theological Seminary in Pasadena, CA, and then a postdoctoral fellowship with Wright State University at the Children’s Hospital. He now sees children, teens, and families on a full-time basis.
" I have written five parenting books (faith based), which you can learn more about on the Books page. I have presented many parenting workshops at mom’s conferences (Hearts at Home, MOPS International), MOPS groups, churches, and schools, which you can read about on the Workshop page. I have also recently developed a skill-building game for kids called The Flexible Thinking Game. In my free time, I enjoy doing anything with my wife, spending time with my boys whenever possible, reading, running, and playing jazz piano any chance I get. My Christian faith is an important part of my life and thinking, and I am continually thankful for God’s grace, of which I am an undeserving recipient." "I love my child, but parenting is hard." "Whether you find parenting intuitive or impossible, we could all use a hand here and there. 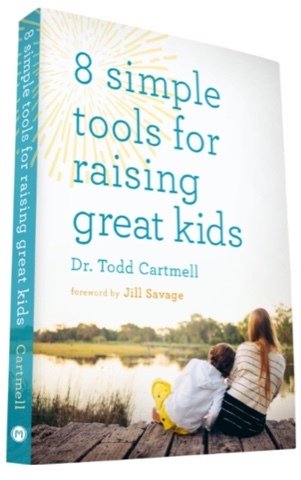 Let child psychologist and father Todd Cartmell walk you through the nuts and bolts of healthy, effective parenting. Designed for busy parents, 8 Simple Tools breaks each tool into five short chapters that include a summary tip and application questions. Use even half of the tools in your parenting, and your family dynamics will thrive. Your relationship with your child will be built on love and trust, providing you with fertile ground for planting God’s wisdom in their heart, and ultimately, seeing them flourish." Free access to the HEARTS AT HOME "ESSENTIAL WORKSHOP COLLECTION FOR PARENTS" with every purchase: http://www.8simpletools.com/purchase-with-offer (so readers not only get 50% off with the coupon code at moodypublishers.com, but also get access to a slew of freebies).